With a reputation for excellence built on many years of engineering experience, and a dedication to dynamic working practices, Formaplex recognised the need for expansion. 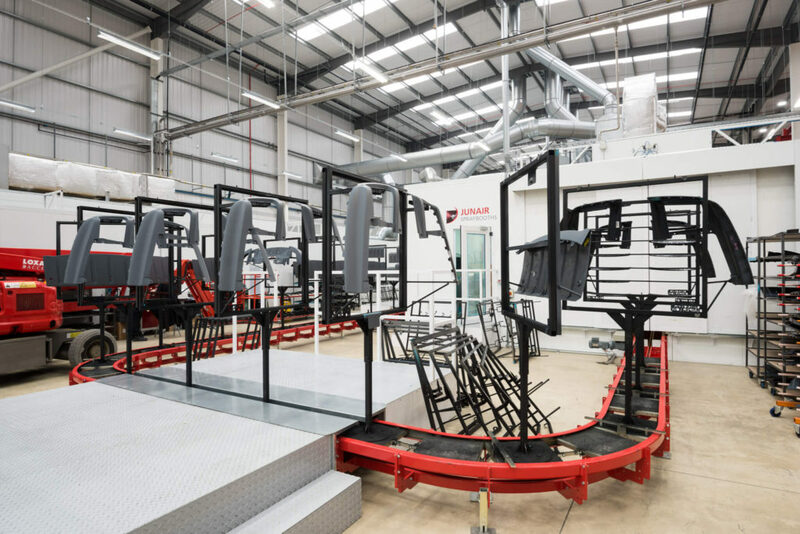 Having had previous positive experiences working with Junair on major OEM paint projects, the team at Formaplex naturally turned to Junair for the design and installation of their new semi-automated paint finishing facility. The new 120 000 sq. ft. factory is built on a 7.25 acre site on the South Coast and increases the production space by 80% in order to support the future growth of the business. At the very beginning of the process an enclosed fully extracted and ventilated preparation area facilitates the trimming and abrading of parts prior to painting. The preparation area includes a dedicated on-tool extract system linked to a high pressure dust turbine unit, ensuring that dust particles are removed from the process at source and do not contaminate the primer line area. 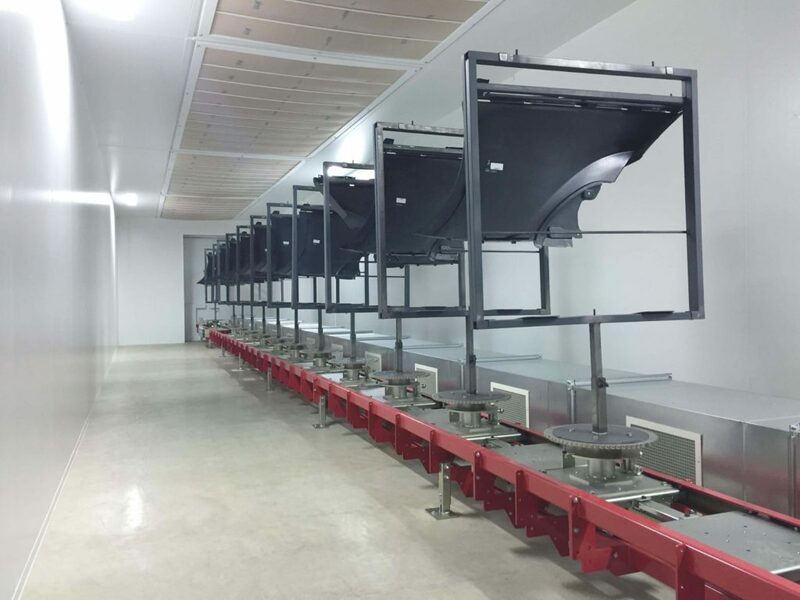 A high volume semi-automated primer paint application line has been installed to allow controlled application and processing of various primer paint finishes to automotive exterior trim. A floor mounted automatic conveyor passes through a number of interlinked enclosures to allow a controlled environment through the process, with stable temperature and filtered airflow. A high level of lighting is maintained throughout the facility, utilising Junair’s Ultralux lighting technology. The system comprises a well ventilated manual cleaning area, a flaming cell for surface treatment of polypropylene products, two semi-automatic painting booths, a flash off area and integrated baking oven with separate product cooling post bake. 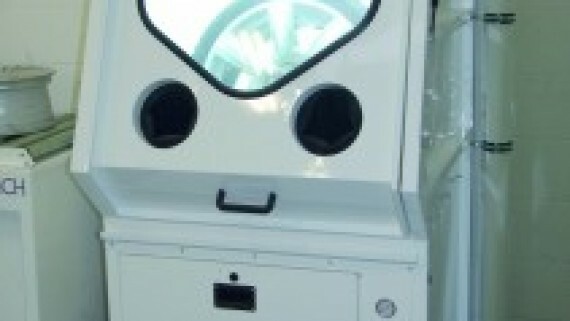 Each of the two spraybooths are designed for robotic paint application, and are also fitted with an innovative high efficiency dry filter paint overspray capture system comprising multi-stage box filters with additional secondary pocket filters, which allow the filter change frequency to be reduced to around ten changes per year, rather than twice weekly with other comparable systems. This promotes equipment uptime, reduces maintenance down time, and provides for far more stable booth operating conditions. Product rotation within the booths allows ergonomic access to all areas of the product, ensuring a consistent quality of finish. Large windows allow maximum light into the process areas and also allow for external client viewing. The whole of the facility is designed for high volume efficient production, for example the spraybooth fan sets will continue to pull a good exhaust volume from the cabins even when the filters are loaded 400% further than you would expect with an industry standard fan set. 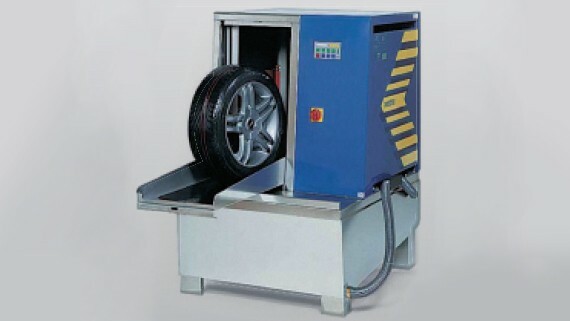 The cure oven is maintained at a very stable temperature and features sliding doors interlocked to the conveyor movement for efficient heat retention, fully filtered recirculated airflow, and also the heat stability is monitored and captured on a data logging device for the client quality department. The inverted semi-automatic floor conveyor has exceptional stability and allows an automatic timed dwell within the oven ensuring that the product is cured accordingly, whilst using an innovate accumulation system to reduce the oven footprint, and energy costs. 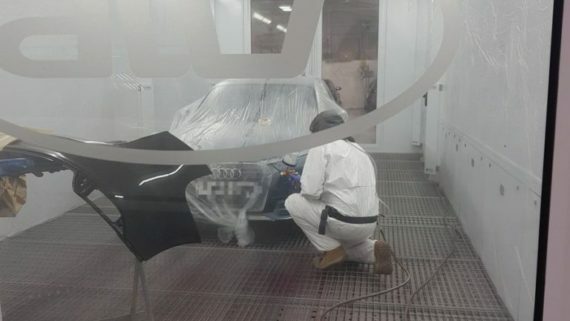 A separate top coat line allows for complex multi-layer finishes, and comprises a pre-paint cleaning booth, four spraybooths each with a dedicated flash off area, and a final clear coat cure oven. The conveyor is a semi-automated and the whole facility is designed for ultra-variable production needs and finishes, typical of the current high end automotive sector demands. 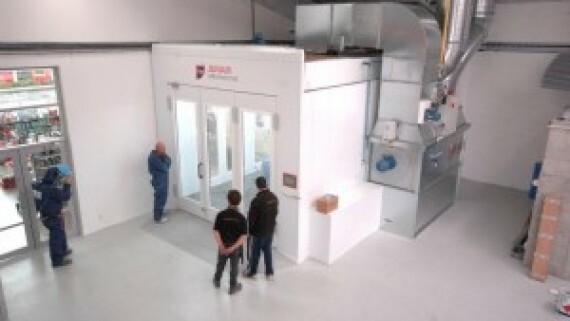 At the end of the 90m long facility a standalone combination spraybooth oven allows off-line development work comprising test pieces, short volume production and product development. 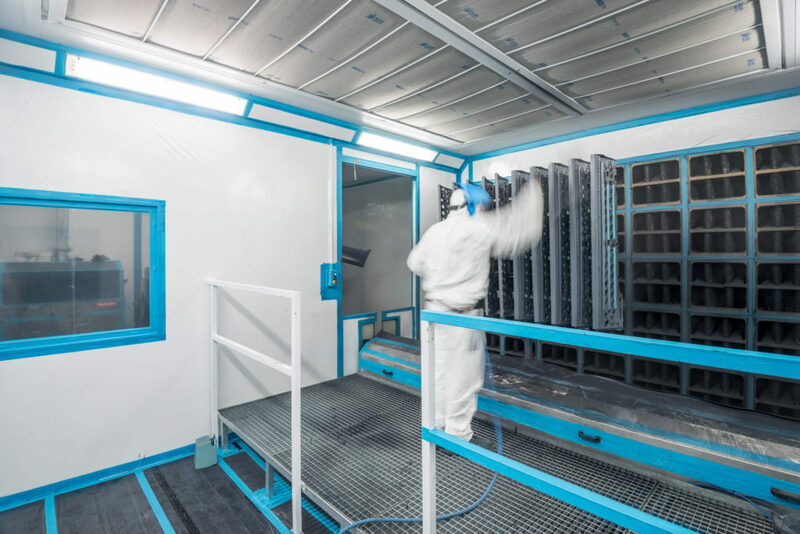 The booth is typical of a Junair high specification automotive spray cabin and notably features the patented QADs auxiliary air movement system to allow unprecedented levels of production and quality. The whole Junair facility is supplemented by an additional polishing enclosure, dedicated paint mixing rooms sized for the equipment necessary for the preparation of a huge variety of 2K paint systems, machinery platforms and a sophisticated PLC control system across the whole plant. 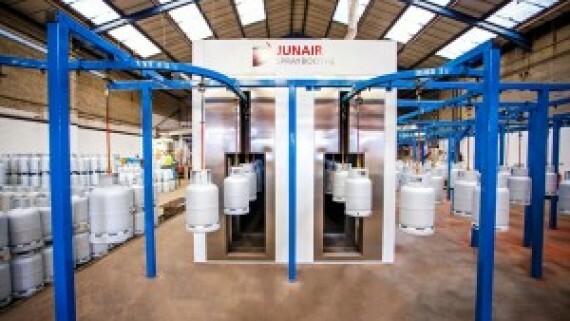 The Junair name is synonymous with innovation in spraybooth development, providing solutions that deliver energy-savings, higher productivity, enhanced performance and ultimately, increased profitability for our customers. 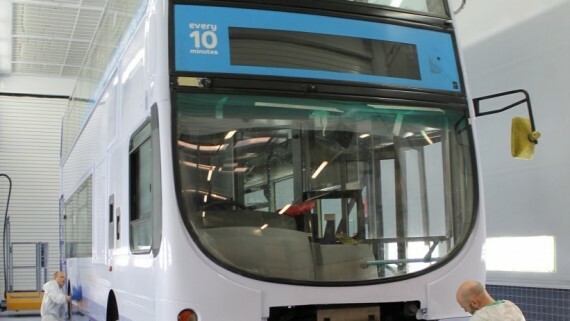 The inherent design flexibility and in-house British manufacture allows any paint finishing facility to be tailored to suit individual dimensions and performance requirements. For more information on the Junair range of products visit www.junair.co.uk, contact the experienced team on 01706 363 555, or email sales@junair.co.uk.